The cutting edge in beauty and cosmetic products is gold. Enjoy the ultimate luxury experience that can only be realized with CleAurum brand gold leaf products. 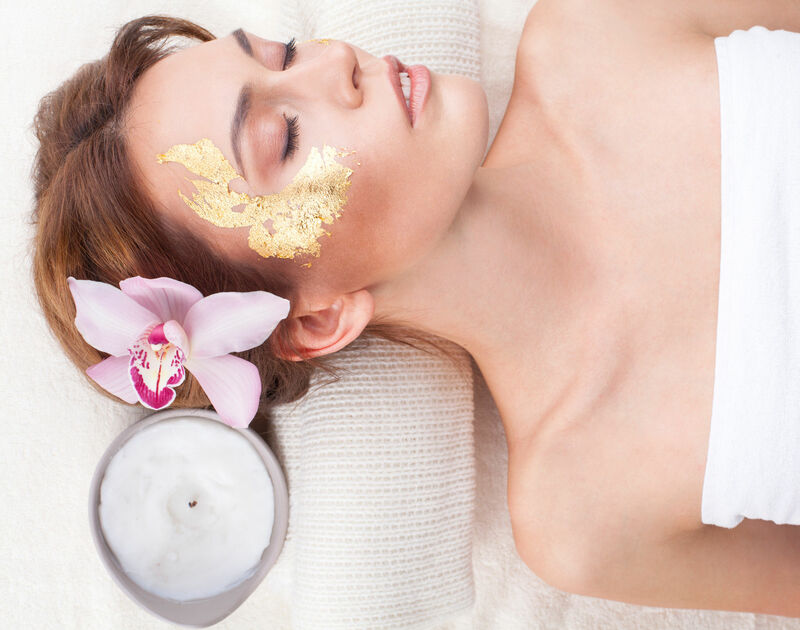 The pinnacle of pampered sensations, experience our 24K gold mask, or add gold leaf crumbs to any of your favorite cosmetics for an unmatched luxury experience. 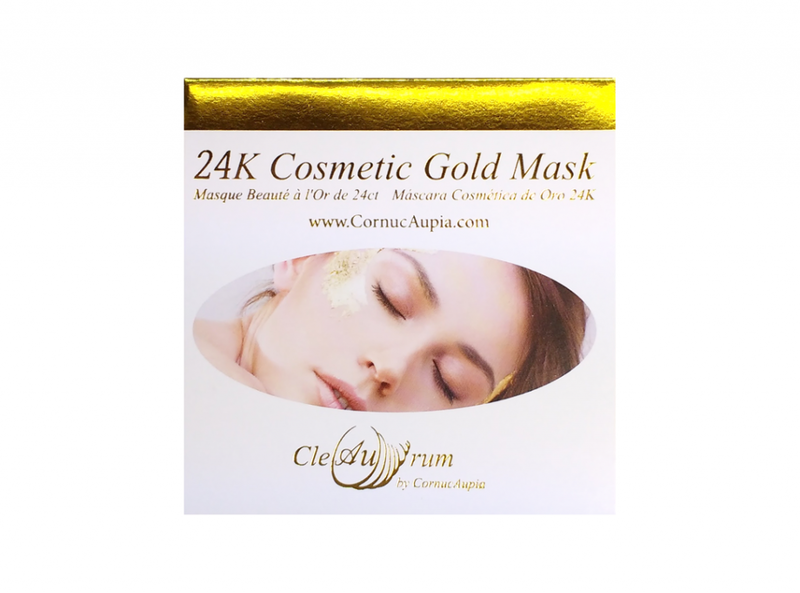 CornucAupia Gold Leaf Manufacturing, Inc. provides pure gold leaf for the cosmetic industry in the form of the 24k gold mask, and gold leaf crumbs for you to add to any of your favorite current cosmetic products. For personal use, as well as production. Gold is eternally associated with luxury, longevity, and shining health. For creators and manufacturers, associating these qualities with their products has never been easier. Simply add our 24K gold leaf to your existing products for an unmatched display and benefit. On skin, gold slows aging by stopping collagen degeneration by 50%. It also helps reduce inflammation and is used for its antioxidental benefits. Include this additional benefits by sprinkling a bit of gold in your current cosmetics or try our 24K Gold Mask. Commonly used for tonic and rejuvenating properties in new and old in Indian systems of medecine such as Ayurveda, and Unani-Tibb, gold leaf is surrounded in rich history and health benefits. You decide how much you want to use. No cosmetics company using gold in their products will provide you with information regarding the volume of gold used. With us, you can be sure that you know exactly how much gold is used, because you’re the one in control. No other gold cosmetics company can make this claim. 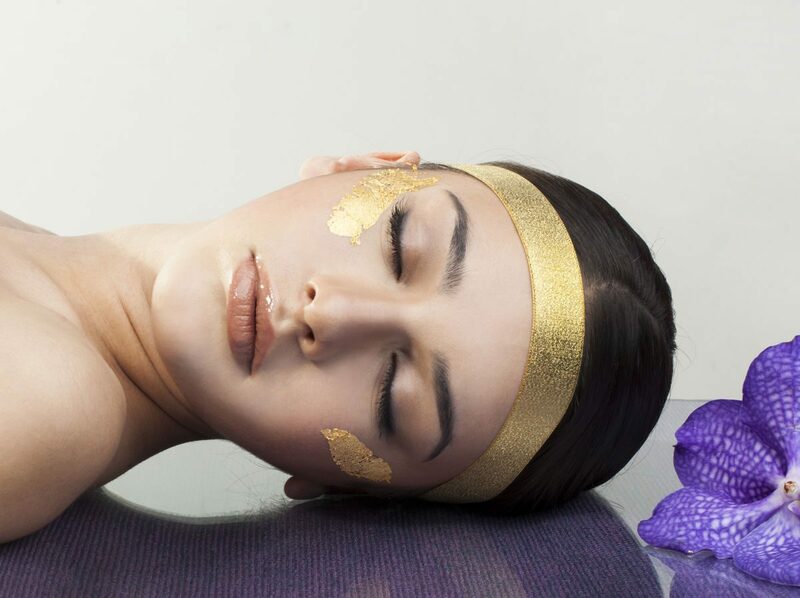 Cleopatra of ancient Egypt has been noted for having used a 24K Gold Mask every night to enhance her already captivating beauty. 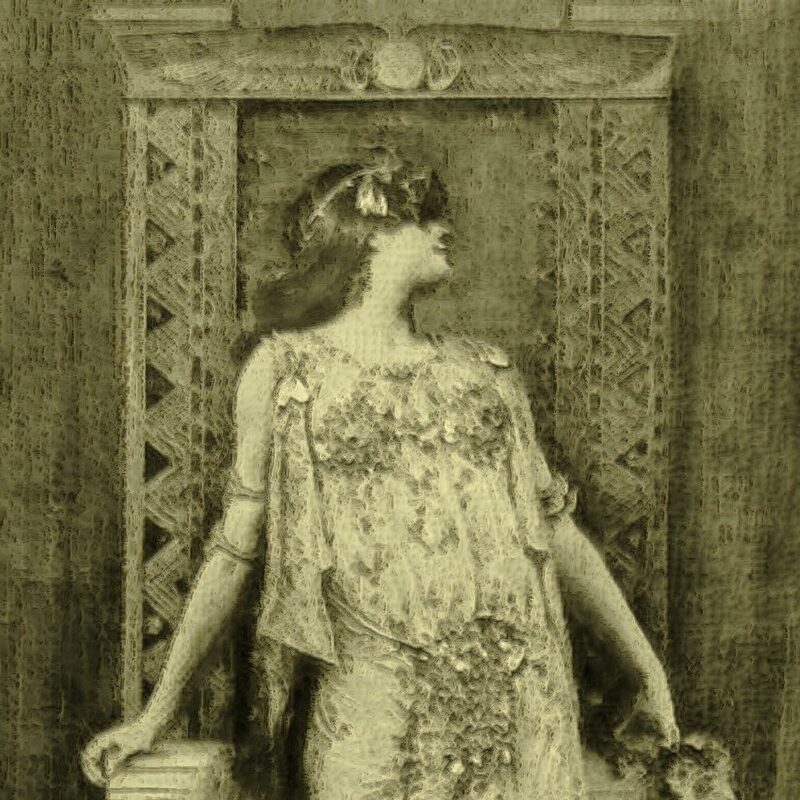 In ancient Rome, gold was used in salves and serums for a variety of skin conditions. In ancient Chinese medicine, gold was, and is still used as an anchor to youth. The queen of the Ch’ing dynasty is recorded to have used a gold massage roller on her face daily. Now you can join this long line of historic gold uses in cosmetics. Our 24K Gold Mask is the ultimate luxury experience when it comes to skin care. Enjoy 24K gold on your face, or any other part of your body you desire. Have a favorite cream? Add 24K gold to give it new life. 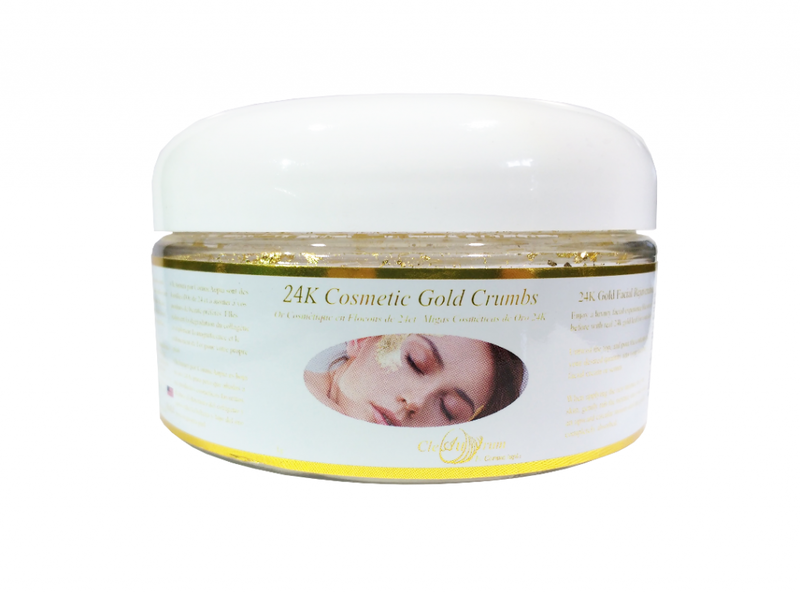 24K Gold Crumbs can be added to any cream or serum without any change to the original product. Enjoy any cosmetic product with real, pure 24K gold. Gold is used for its anti-inflammatory and antioxidant benefits, and is used to reduce glycation-induced skin aging by 50% by reducing collagen degeneration. Most gold allergies are a result of not gold, but nickle found in jewellery with less than 24 karats of gold. We use exclusively 24K gold in our products. Ask your Doctor or Dermatologist for More Information. If you’re a small start-up company, or an individual looking for a leg up in the competitive cosmetics industry, adding real 24K gold leaf to your products is the perfect way to set yourself apart from the competition. The innovation of your product will leave a truly memorable impact. Looking to enter the luxury market with your cosmetics line? It doesn’t get more luxurious than gold. The simple addition of 24K will elevate your product to new an entirely new sophisticated, and fashionable market. Manufacturer or Creator? Contact us about wholesale pricing. We provide wholesale prices on large bulk orders made by manufacturers or creators big and small. Contact us about bulk ordering our 24K gold mask or gold leaf crumbs additive products.